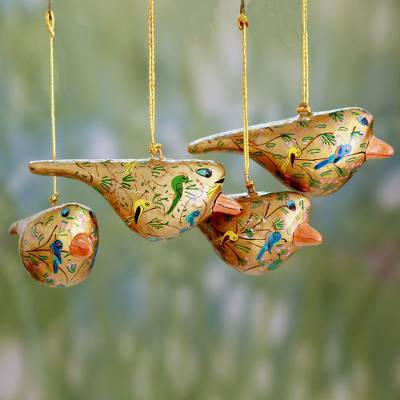 Handcrafted Golden Papier Mache Bird Ornaments (set of 4), "Peace and Joy"
We have a few trees we put out for the Christmas holidays, including one that uses only bird ornaments. These four birds are very detailed and were a wonderful addition to the tree. Many visitors commented on how beautiful they were.